The major flaw with MP3 players and cell phones is that they are so fragile. Now there’s a solution to this problem that provides protection and dynamic sound. It’s called the Eco Extreme. 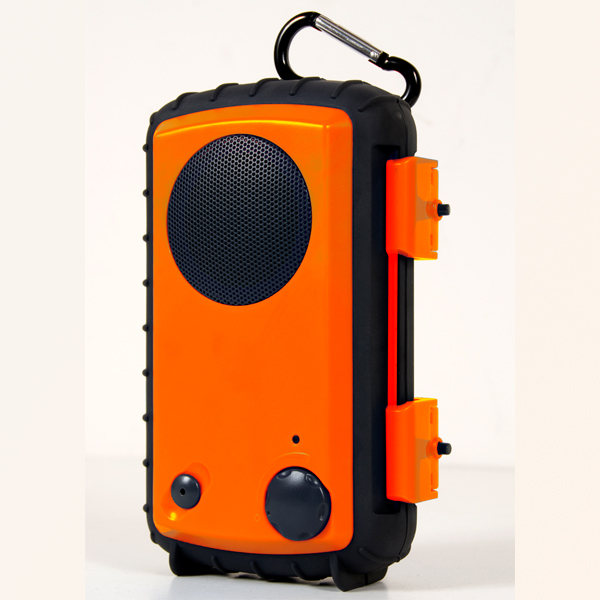 Powered by three, AA batteries, this waterproof case works with every mp3 player and cell phone including the iPhone, iPod Touch, Motorola Droid and Blackberry. It’s built with a rugged, rubberized protective body, and is a great choice for DJs or anyone who wants to take their small electronics outdoors. I think that guys will especially like the spacious internal storage compartment to hold their keys, credit cards, cash and drivers license, while simultaneously keeping their cell phone or MP3 player safe from sun, water and sand. Inside the case you’ll find a single audio cable along with a battery compartment and a padded section for your cell phone or MP3 player to sit comfortably in. 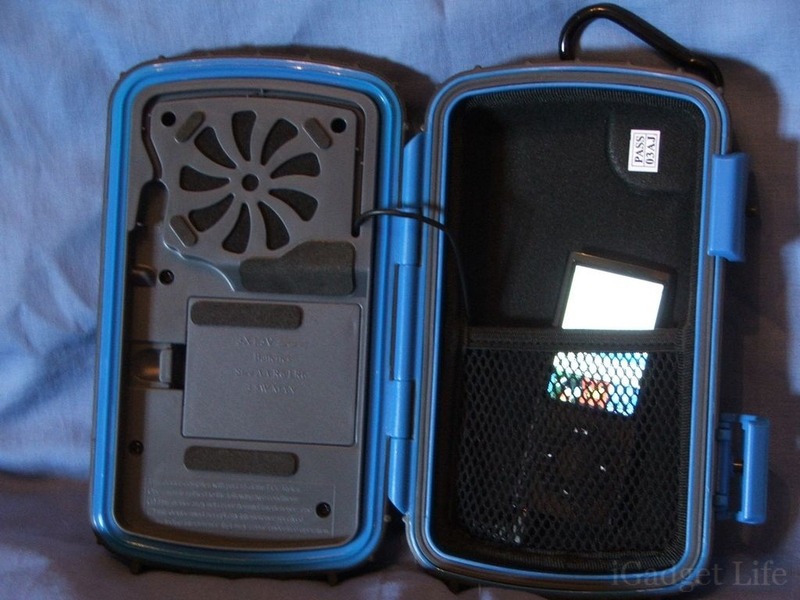 On the outside is the the speaker and combination power and volume knob along with lots of rubber padding around the slides of the case, a metal carabineer, and a couple heavy duty locking clamps to secure the case closed and keeps out the elements. On the front is where you’ll find the 3” speaker, volume/power button and the pressure release valve. There’s also an LED above the volume knob that lights green when powered on. On the top is a metal clamp attached to a rubber strap so you can attach it to things. On the right side you’ll find the locking clips that not only lock the case closed but help seal it tight to keep the water out. The clips have little buttons on them that you must push in to be able to unlock the clips so you can’t accidentally open the case. On the left side you’ll see the back of the speaker, audio cable and the battery compartment. The cord is just long enough to reach the other side, and you can store it when not in use in the channels above the speaker. When the volume is set to about mid-level, it is more than loud enough to hear without distortion (although the bass is a little muddy). 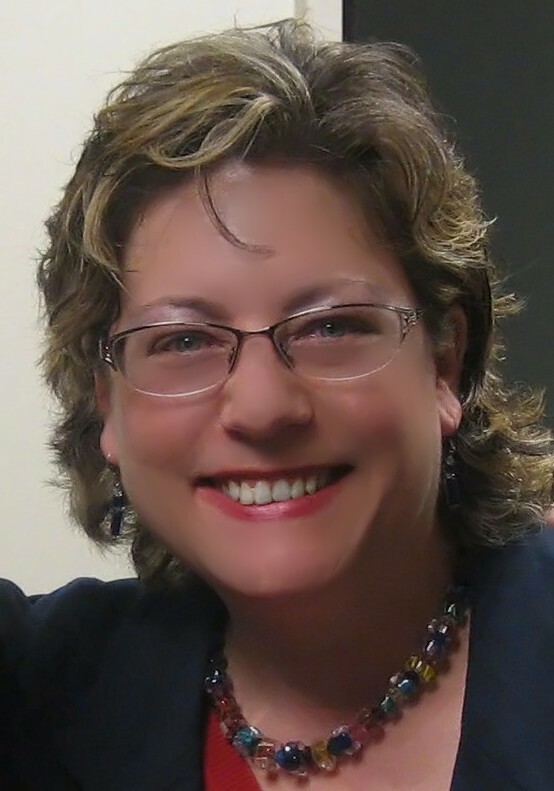 Stacy Zemon is the Founder, Publisher and Chief Scribe of ProMobileDJ.com. She is a veteran DJ Entertainer who is widely considered an authority on the DJ business, and has become a distinguished industry leader over the course of her illustrious 30+ year career. Stacy’s mission is to provide educational resources for DJs that support their professional growth and financial prosperity. She is a longtime writer for DJ Times magazine, and author of the world’s best-selling DJ books: The Mobile DJ Handbook, The DJ Sales & Marketing Handbook and The Mobile DJ MBA. Stacy is a self-described serial entrepreneur (Equal parts creativity and business). From her efforts, she has spawned more professional disc jockey business owners than any other person in the mobile DJ industry! 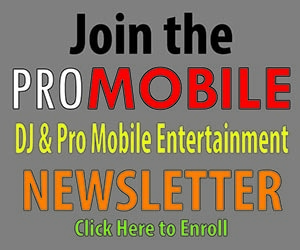 Write to her c/o Stacy@ProMobileDJ.com or call 877-442-7170. For the longer version of Stacy’s story, click here. To learn about Stacy’s business consulting services, click here.